Based on the author's childhood experiences when her own family emigrated from the Netherlands, this story of a child working through her frustrations and adjusting to change with help from a toy is warm and comforting...A warm tale of catharsis and acceptance. 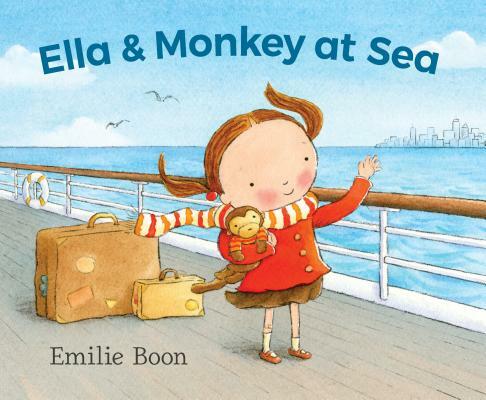 The book reflects Boon’s childhood experience of leaving the Netherlands and traveling to America on a ship that encountered a hurricane. She sensitively portrays a child who struggles with loss but copes by expressing herself through art and by transferring her emotions to Monkey and then comforting him. A satisfying picture book telling one immigrant’s story.